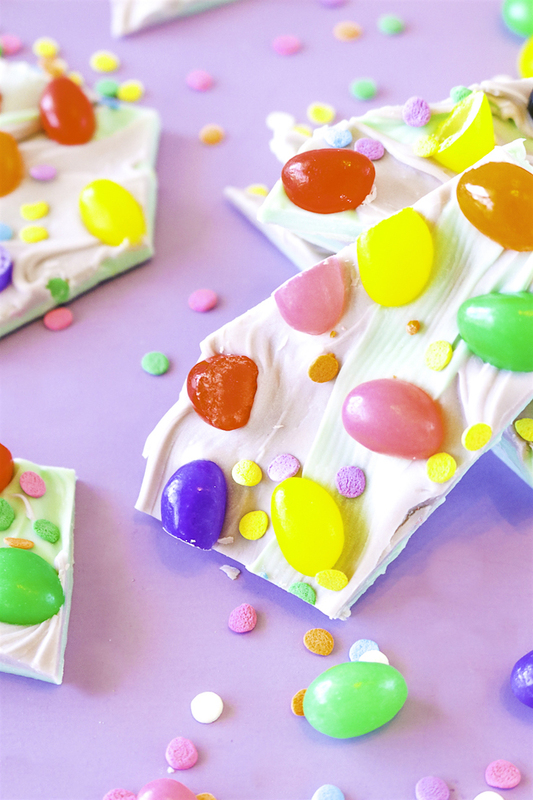 DIY Easy Jelly Bean Bark for Easter! 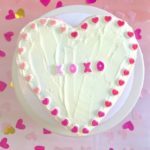 My fabulous friend Holly is back with another fun Easter DIY for you to do today! 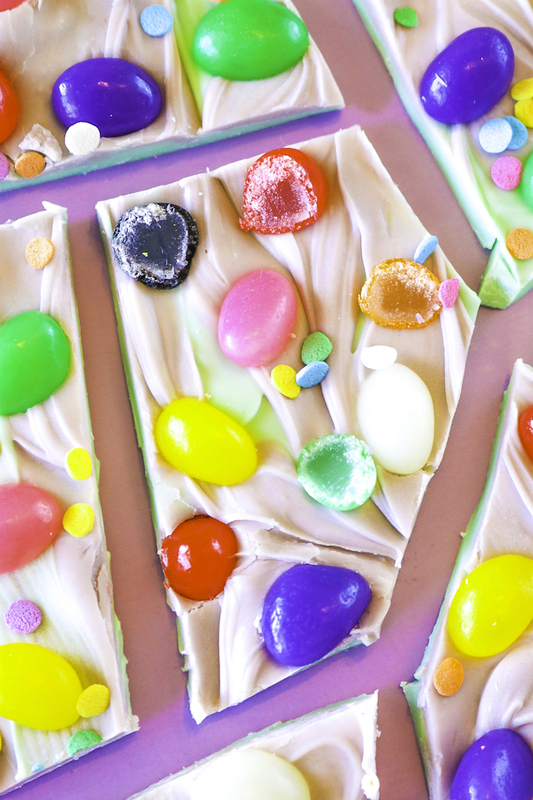 Check out this tasty DIY Easy Jelly Bean Bark for Easter! Here is Holly to show you how to make it. 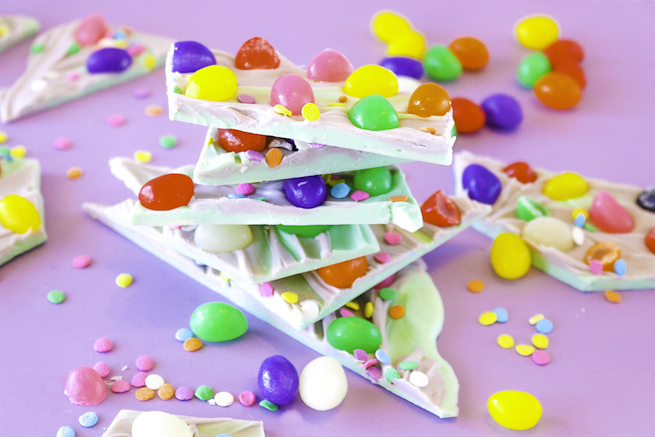 With Easter just a few weeks away, you can’t avoid the Easter candy, and that means lots and lots of jelly beans! While I, Holly, have never been a jelly bean connoisseur, I will chow down on all of the white and pink jelly beans in a bag of Brach’s. 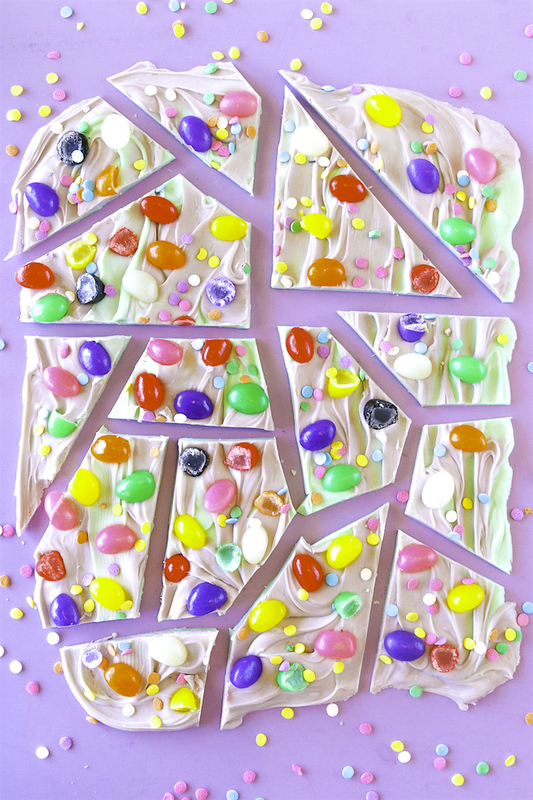 For a quick and easy treat, you can make this colorful jelly bean bark with white chocolate and your favorite jelly bean flavors, plus some sprinkles for good measure. Everything is better with sprinkles, after all! 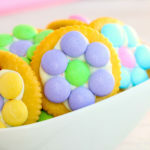 Dye the chocolate pastel colors and swirl them together before adding toppings to make pretty spring colors. 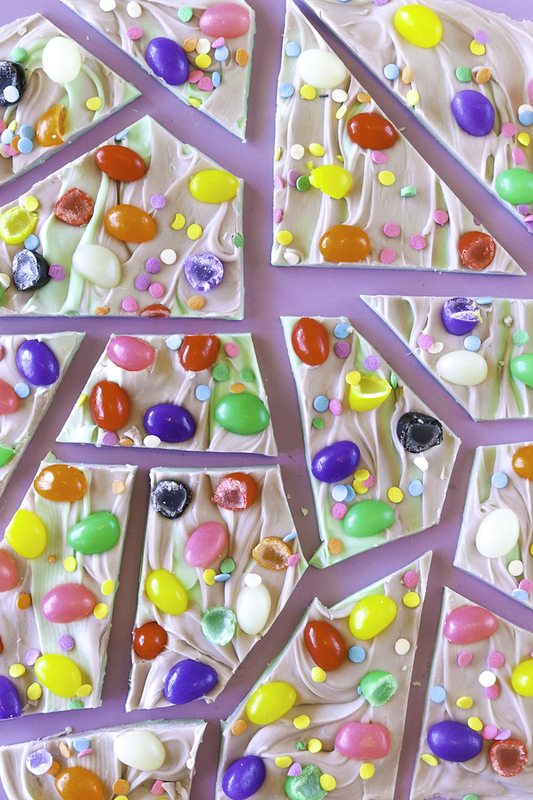 Anyone who likes white chocolate and candy will probably be happy to try a piece of this sweet Easter bark. First, line a baking sheet with parchment paper or a silicone mat and set aside. Then melt the white chocolate. Either use the double broiler method or microwave the chocolate on defrost mode in 40-second intervals, mixing in between until completely melted. If chocolate is too thick, try mixing in one tablespoon of melted coconut oil. If dying the chocolate, divide it into multiple bowls. Add 1-2 small drops of coloring to each and mix well until you reach the desired pastel color. To swirl, pour one color on the prepared baking sheet and spread lightly with the back of a spoon. Pour the second and/or third colors on top and use a spoon or butter knife to swirl the colors together and smooth out the chocolate so that it is about ¼ inch thick. Quickly add jelly beans to the melted chocolate, chopping some in half if desired. Then sprinkle with pastel sprinkles and either leave at room temperature to harden completely or move to the refrigerator to harden faster. 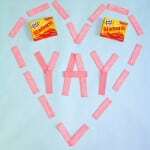 Once solidified, carefully cut with a sharp knife or break off pieces with your hands. 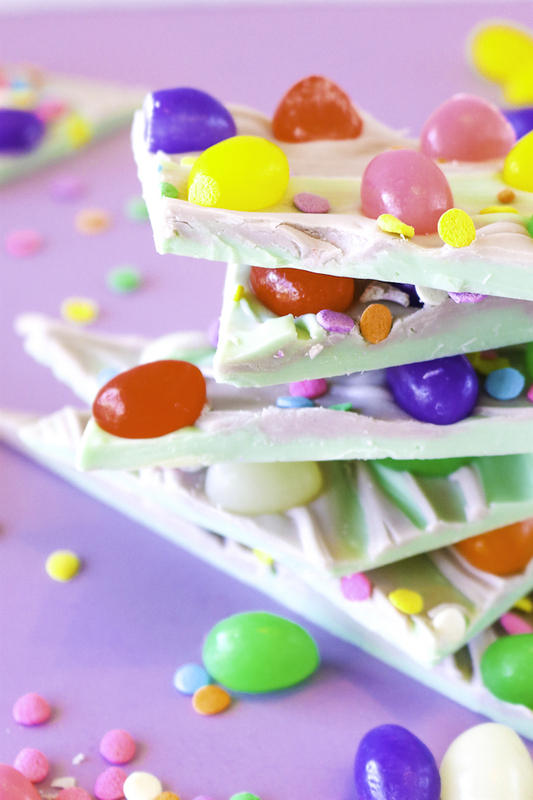 Serve on a sheet or in a bowl for a quick Easter treat this spring! 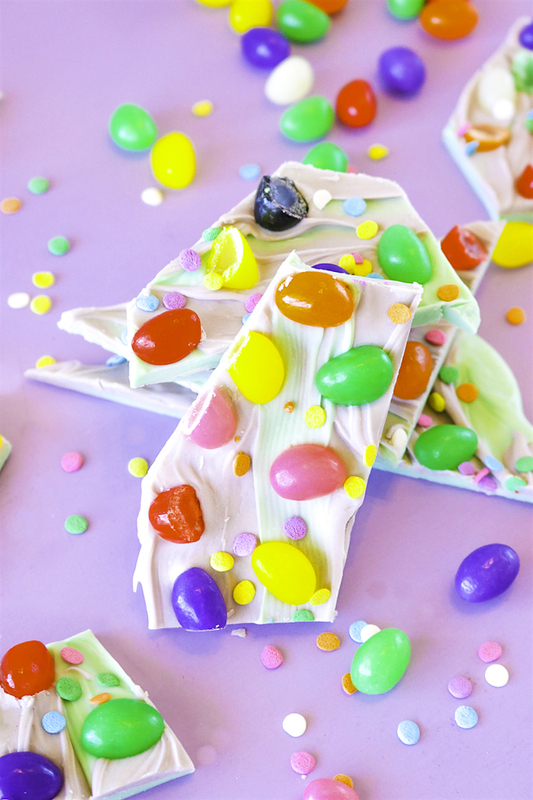 I hope you enjoy this yummy Jelly Bean Easter Bark as much as I do! 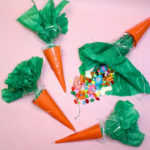 DIY Easter Carrot Candy Favor Bags!